HOW do I hike the best of Britain WITHOUT using all my precious holidays? = Do it at the weekends. HOW do I get there WITHOUT a car? = Use public transport. HOW do I get home to London on Sunday night from a remote location where the bus stops don't even exist? = I can tell you! HOW do I make the most of my weekend and not waste it walking a rubbish route? = That's where I can help! WHERE can I see some of the most beautiful British scenery and still do it in a weekend? = Read on! These are the weekends I tell my friends to do if they ask me how to explore the best of British countryside walking. 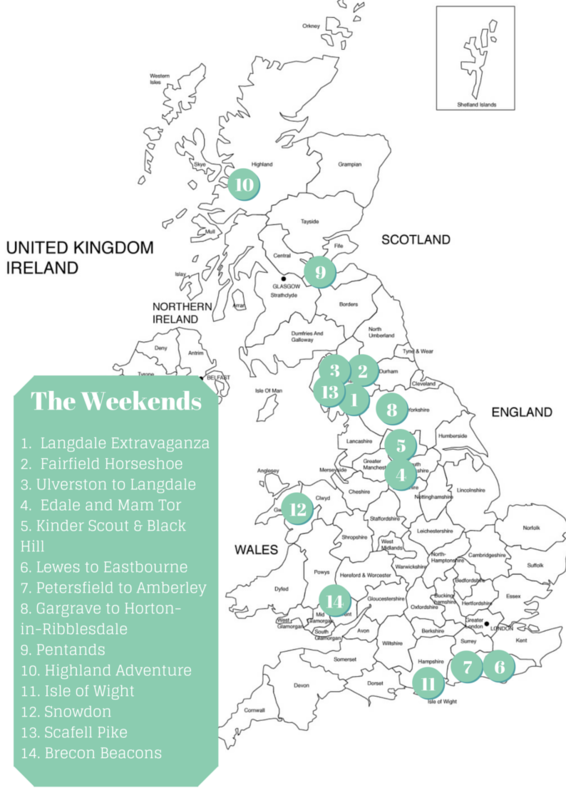 These are the weekend trips that are explained in detail in Walk Your Weekends. 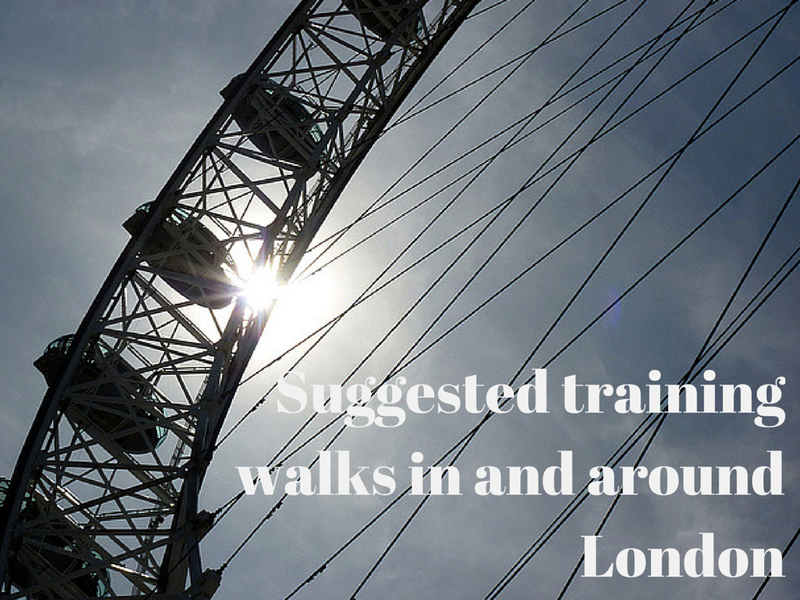 You can do all of these from London in a weekend by public transport. In Walk Your Weekends I explain exactly how! Deep in the heart of the Lake District, in the little village of Elterwater, you’ll really feel like you’re away from it all, with the opportunity to climb one of Wainwright’s favourite fells, tick off the classic Langdale Pikes and rest your weary legs with a pint in the famous Old Dungeon Ghyll hikers pub. This is a very strenuous mountain walk with lots of drama. 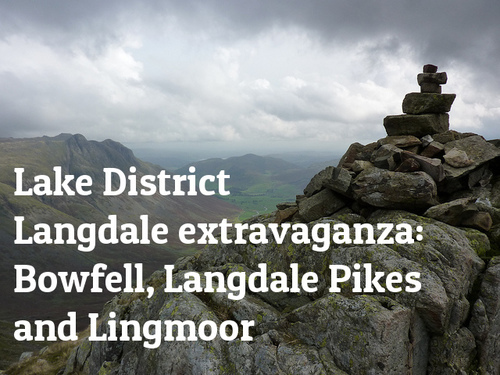 If you’ve never been to Langdale before, this is a great way of diving right in and experiencing some of the classic fells and walks in the Lake District. 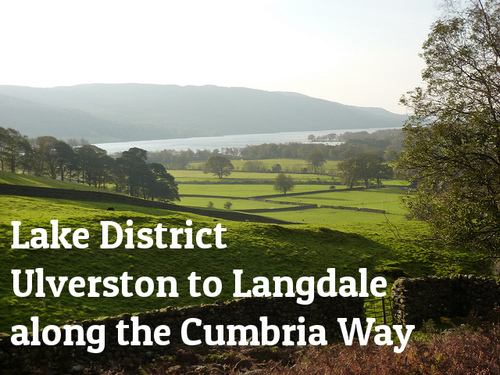 This walk follows the first two days of the Cumbria Way from Ulverston, on the coast, heads through tranquil farmland at first, then enters the Lake District via some some wilder and more rugged paths, finally winding its way to Coniston along the Lake. Day 2′s views are spectacular as the path heads through some of the Lake District’s most picturesque spots including Tarn Hows, Colwith and Skelwith waterfalls, Elterwater and Langdale, ending at the famous hiker’s pub the Old Dungeon Ghyll. 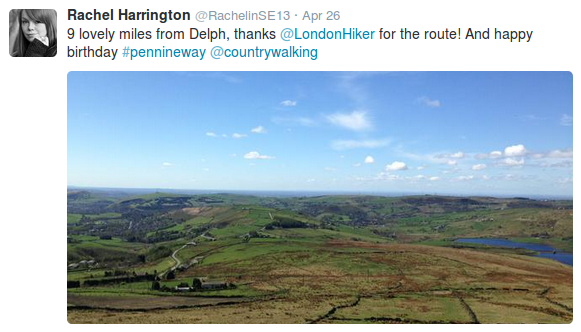 The Pennine Way: well, what can I say? This is the oldest national trail in the UK, stretching 268 miles from Edale to Kirk Yetholm in Scotland. It is a very famous walk, full of history, atmosphere, adventure, misty wilderness, brooding moorland scenery, and weather-worn rocks! 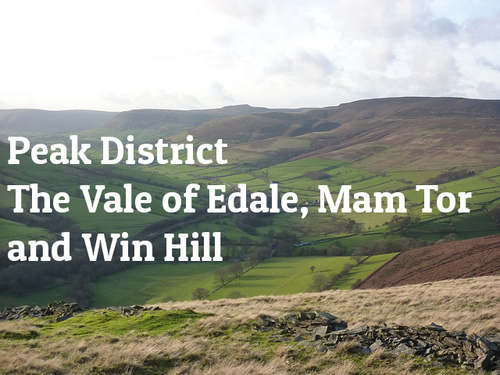 On this weekend you will walk the first two days of the Pennine Way, from Edale to Diggle through the heart of the ‘Dark Peak’ (so called for its notorious peaty bogs!). 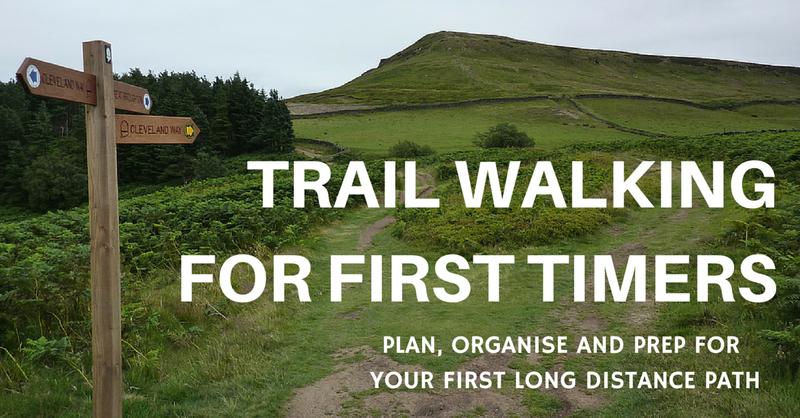 This offers a wonderful taster of the trail and takes you into some areas of the countryside familiar Manchester locals over the peak district moorland plateau Kinder Scout, Bleaklow and Black Hill. An hour’s morning train journey and you’re on grassy paths in the South Downs with excellent views, amidst butterflies and wild flowers, often with birds of prey hovering overhead. On a good day you can see for miles from the many viewpoints, to the sea and inland across the south-east. The paths are good and navigation is easy. This section also has many interesting ancient sites of interest such as ancient burial grounds, mysterious tumuli and monuments. 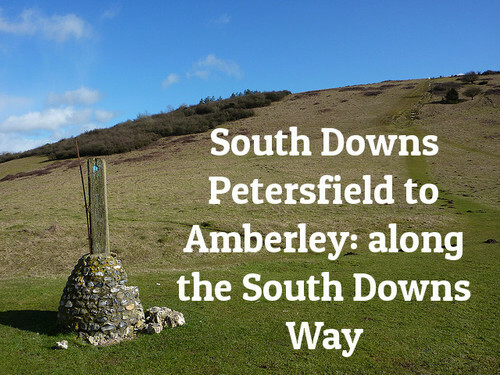 Unlike much of the South Downs, this stretch is quite varied as you go through a good mixture of grassy, chalky downland, country fields, and woodland. Taking the sleeper train you’ll wake up deep in bonnie Scotland. You’ll cross the remote wilderness of Rannoch Moor – home to herds of red deer – to the head of Glen Coe, with dramatic views of the mountain Buachaille Etive Mòr behind. 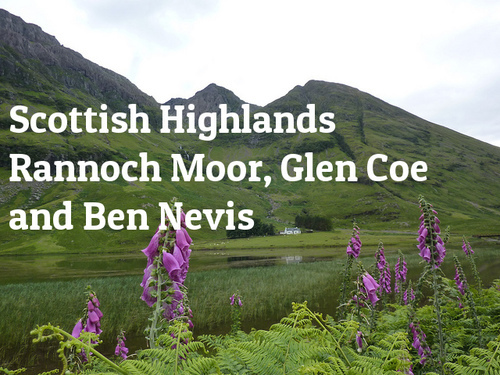 Walk down Glen Coe, where each turn in the road brings a more amazing viewpoint. Climb up to the Hidden (or Lost) Valley, where the clan MacDonald hid rustled cattle. The next day is the opportunity to climb Ben Nevis, Britain’s biggest mountain. 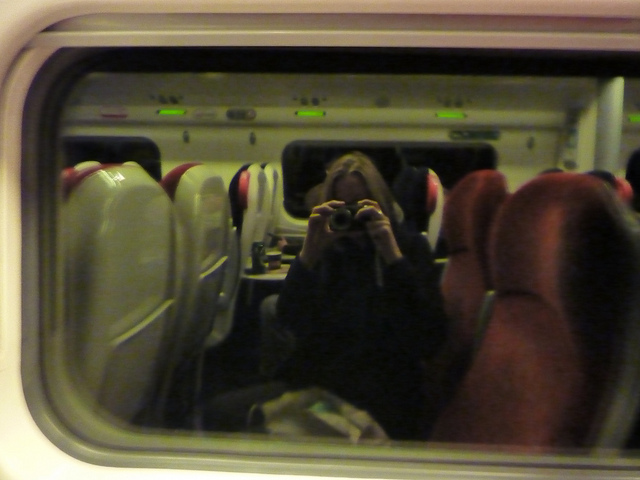 But the trip is not over yet; head straight to the sleeper train and glue yourself to the window for one of the most incredible train journeys in the UK. 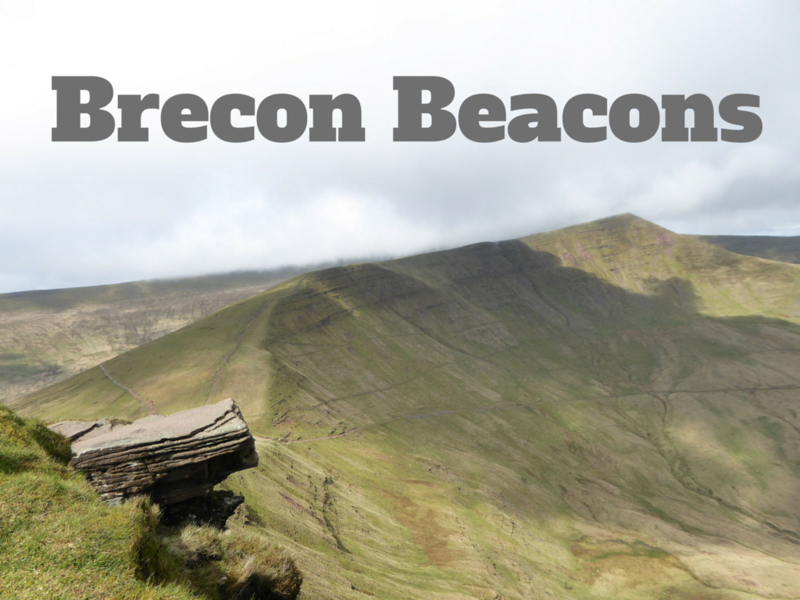 A beautiful National Park within reach of London, you can take the opportunity to tick off the iconic Beacons on a exhilarating ridge route with panoramic views; or explore some of the other best walks in the area. Stay in (or near) Abergavenny - known for it's food - or Methyr Tydfil, close to the central Beacons; or even combine the two (I suggest an itinerary for all three options). This region has so much appeal it's worth coming back a few times to explore more of this unique and characterful park. 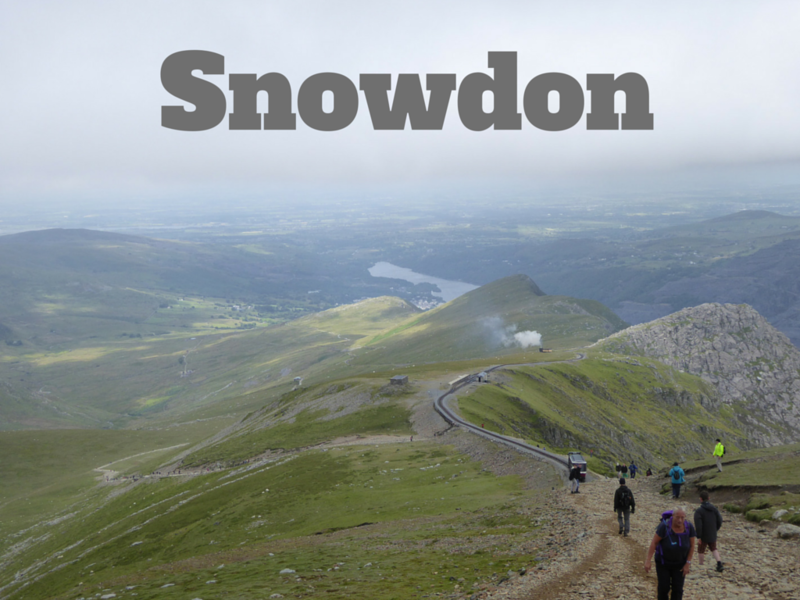 And of course... if we have Snowdon we have to do Scafell Pike too: England's biggest mountain and a popular Lake District challenge. 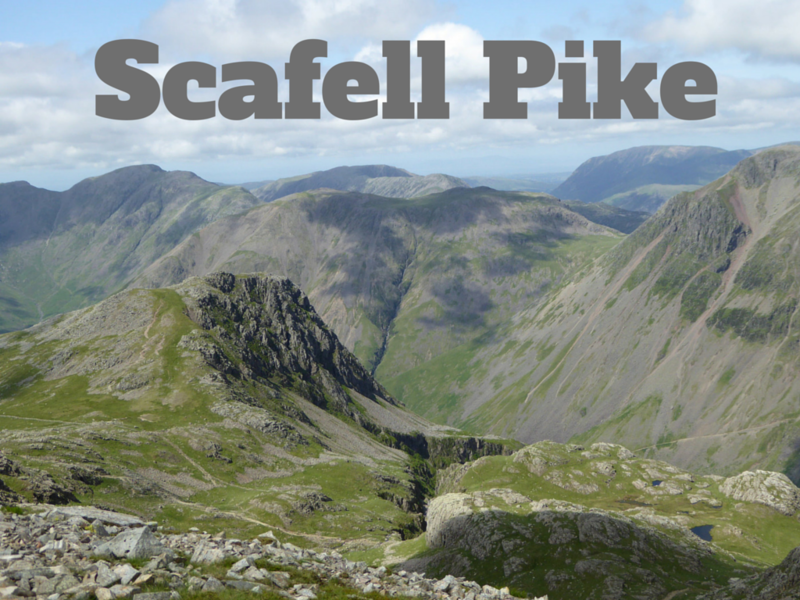 Smaller than Snowdon but in some ways more challenging, Scafell Pike can be climbed in a weekend from your base in the stunning Langdale or nearby Ambleside. It's a tough challenge, but if you're up for it, I suggest how this can be done. On a good day the views over Cumbria are sheer heaven. 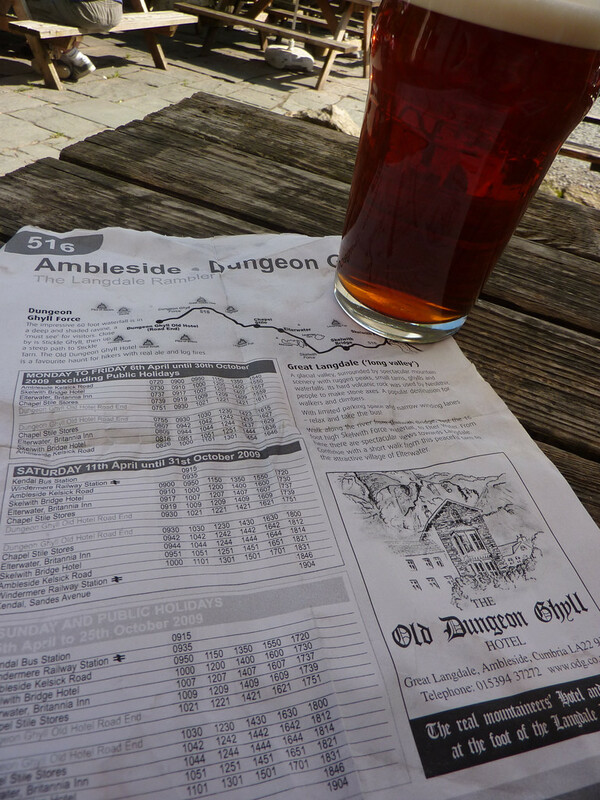 And after your tough walk, you can retire to one of Langdale's great hikers' pub to celebrate your achievement. 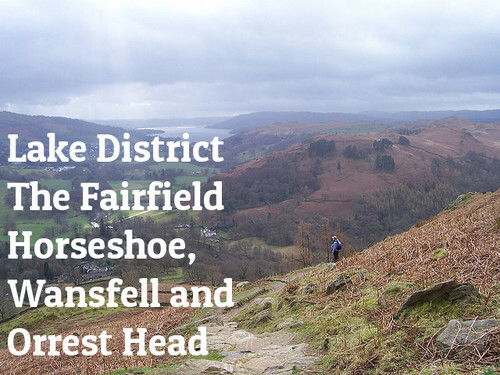 A classic Lake District circular ridge walk starting from the town of Ambleside, the Fairfield Horseshoe takes in several Wainwright fells and will certainly blow the cobwebs away as you follow the ‘horseshoe’ round. On Day 2, walk to Windermere via the spectacular viewpoints Wansfell and Orrest Head, which inspired Wainwright to move to the Lake district. This weekend is based in one location so you will not have to carry your luggage, apart from on Day 2 when you will walk to Windermere. Edale in the Peak District is one of the classic British walking locations. From here the grassy, green White Peak (so called for its limestone) visibly morphs into the brooding, atmospheric, peaty and wild Dark Peak. 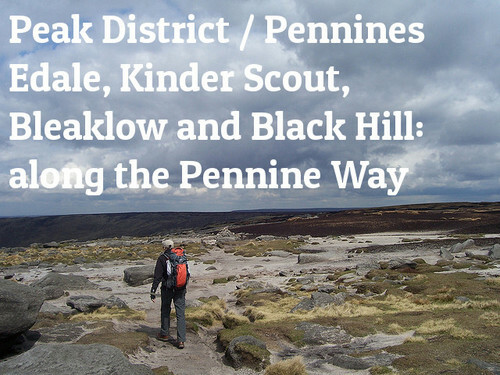 The area has been popular with hikers from nearby Manchester and Sheffield for decades and the mass trespass on Kinder Scout, one of the key battles leading to ‘rights of way’ for walkers, took place here. 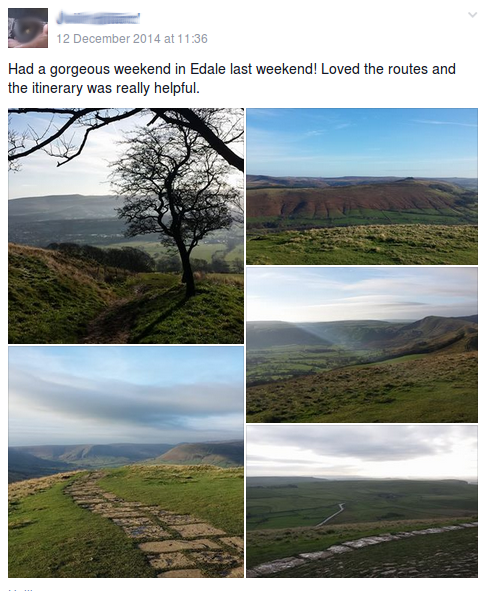 Tour the vale of Edale, walk its famous ridge and you'll fall in love with the place. 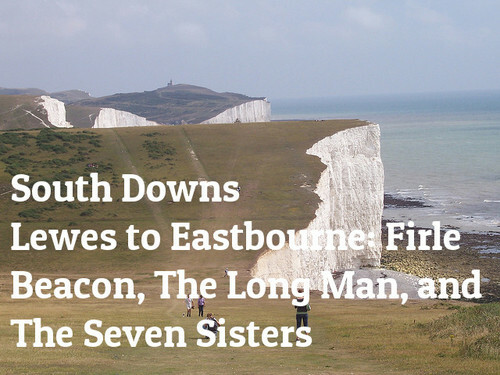 This is a beautiful two day walk along the South Downs. The walking is easy but the views are rewarding and give a fantastic flavour of this part of the world. Starting in the characterful town of Lewes, this route follows grassy tracks along chalky hillsides over a series of lovely viewpoints. At times you feel as though you can see across the whole of the south-east of England. Visit the Long Man, a mysterious chalk figure carved into the hillside, before reaching the sea at Cuckmere Haven, where the winding river has to be seen to be believed. The next sight is the spectacular ‘Seven Sisters’ white cliffs. Forget the white cliffs of Dover, this is the real deal. Visiting Edinburgh? 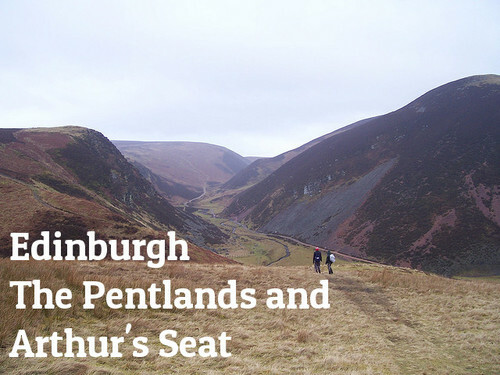 Take a high level ridge walk taking in the peaks of the nearby Pentland hills, or in bad weather a low level walk is suggested. Both end in the Flotterstone Inn, where you can while away a few hours having some hearty pub grub and a few pints whilst you wait for the bus back to the city centre. Finally if visiting Edinburgh you obviously must climb Arthur’s seat; I suggest a good route and an excellent pub lunch option (hello haggis!). Yes, it’s all about the pubs. It’s a hard life sometimes isn’t it? Walk through some of Yorkshire’s stunning scenery along some of the best bits of the iconic Pennine Way past Malham Cove with its fascinating limestone pavements and then climbing the distinctive Pen-y-Ghent, one of Yorkshire’s famous three peaks. 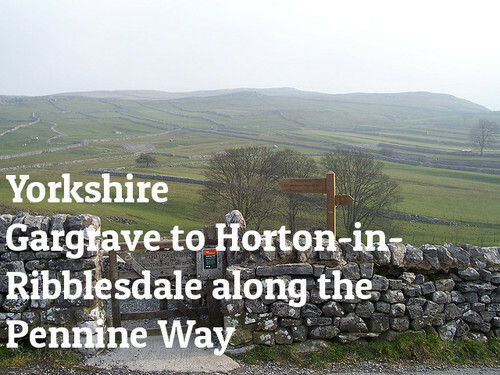 A third day, highly recommended option involves staying another night in Horton-in-Ribblesdale and topping off your weekend by completing the other two peaks: Ingleborough and Whernside. 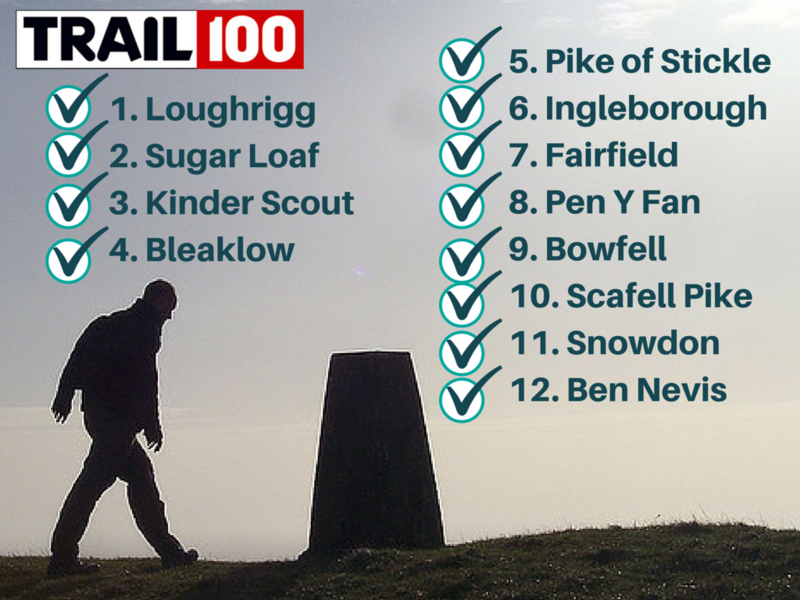 Is it possible to climb Wales' biggest mountain in a weekend - from London? YES! Will this be the year you finally tick it off? I provide you with a suggested itinerary for travel, walking, accommodation, best route suggestions and plenty of Day 2 options from gentle walks to another mountain if you're feeling energetic. This popular mountain has to be completed at some point. Why not this year? 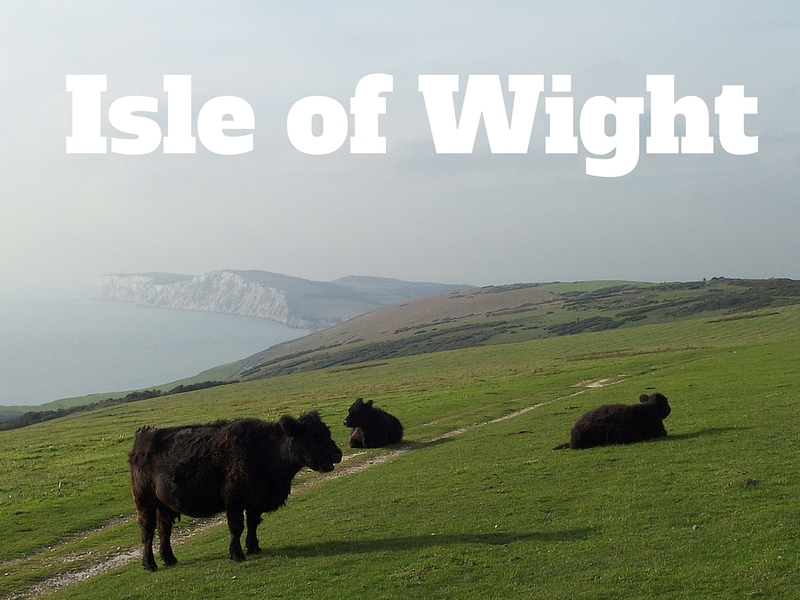 The Isle of Wight is a wonderful, easy get away at any time of year.It has some great coastal and downland walking, it's a short journey from London (some locals even commute! ), and you get a real feeling of being 'on holiday' because you're on an island and by the sea. What's more, you can get around the island by public transport pretty easily. This weekend includes two walks covering some of the best of the west and east of the island and some of its 'must see' attractions such as the famous Needles rocks, Alum Bay, Tennyson monument, Shanklin Chine. Together, the two suggested walks take you to some of the island's best viewpoints like St Boniface Down, Limerstone Down, and Brighstone Down. You also get to walk along the coast for a while, too. You can visit all these places with the information in Walk Your Weekends! Immediate access to the library of 14 walking weekends so you can start to PLAN and BOOK your hiking weekend straight away. I've done all the research for you - I've poured all my knowledge and experience into these guides. These guides will tell you everything you need to know - including which map to buy, how to get there, where to stay, where to walk, where to eat, things to look out for, and background information about each walk. Note: I explain which maps are best/ best value to get for each weekend, describe the routes in the PDF itinerary, and talk through the route in a video and via photos. You do need to be able to read a map to use/understand these guides and you will need to buy or borrow a proper OS map to accompany the guides. I won't just leave you to read through the 50,000+ words in the library of guides! 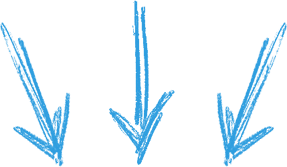 Via the Introduction to Walk Your Weekends and the Walk Chooser I'll help you decide which walks are the best for you based on your requirements, time of year, fitness level, time to travel, and many other criteria. 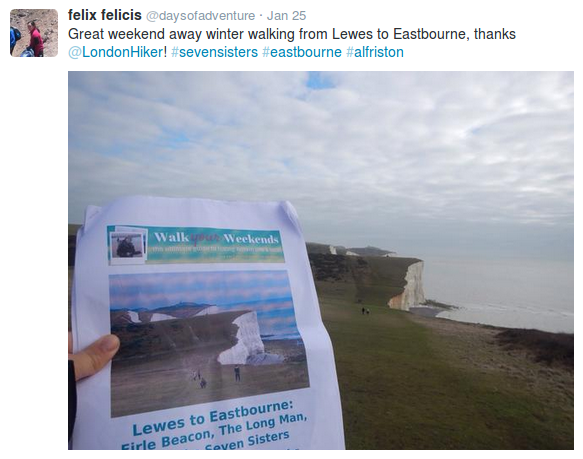 Need a walk for autumn or winter? Want to stay in hostels on your weekend? Want a weekend that's quick to travel to? Once you're in, you get lifetime access - which means you can access the guides anytime AND you get access to all updates, revisions, and future bonuses and extras! There's a reason I've created this as a multimedia resource. Some of the best walking advice I've received in my life was in person. You can't beat sitting down with someone and having a conversation, have them pour over a map with you, explaining the route, pointing it out and telling you the things to look out for on your journey. That's why I've not only created incredibly detailed PDF guides for each weekend, but I've also created a video talkthrough of the routes. It's as if we've met in the pub and I've giving you a full briefing over a pint* AND giving you a full info pack for each weekend. In my verbal explanation, I can clearly explain all the alternatives, escape routes, and ways to shorten or adapt your routes. Finally, as an online resource, I can easily add and update content when required; and you don't have to buy a new edition - you get lifetime access. Are you a bit NERVOUS about weekend walking? If you're new to weekend walking, walking outside of London or walking in Britain these videos will help! I'll explain which maps are best to get, how to cope with the British weather, what equipment I use and much more. I call it 'Walk Your Weekends Like a Pro'! 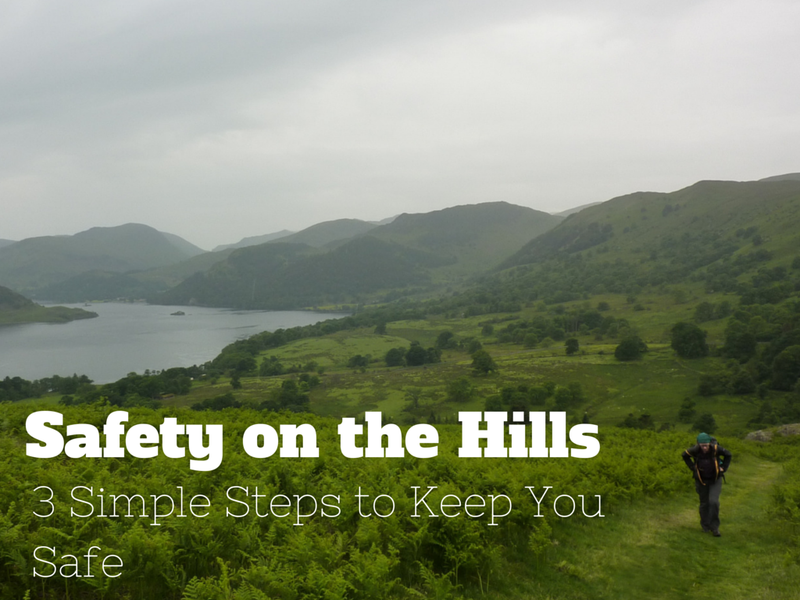 If you're new to weekend walking or walking on your own, you might be concerned about safety on the hills. 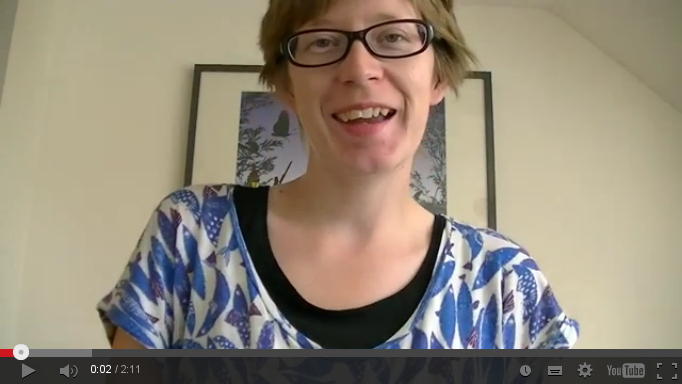 In this video I give you 3 simple steps and actionable tips to put your mind at rest. You also get a CHECKLIST so you don't have to remember it all! The weather is one of the biggest complaints people have about doing a weekend walking trip. 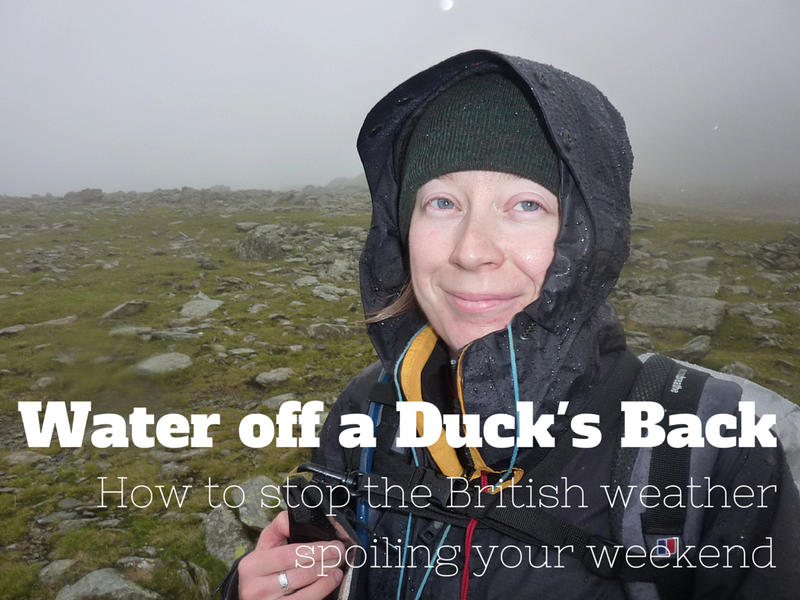 In this video I'll explain how to STOP the weather spoiling your weekend. After watching this you might actually enjoy the inevitable rain! And yes, there's a CHECKLIST too. And there's a PDF DOWNLOAD containing links to all the resources mentioned in this video! 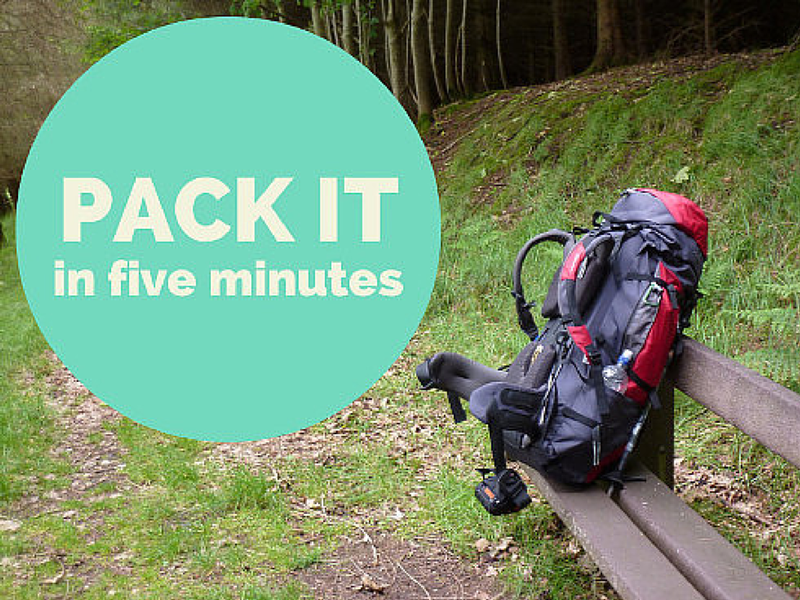 In this video I'll SHOW you what I pack in my rucksack and explain my reasoning behind the key items I take! You also get my PACKING CHECKLIST which you can download and edit to personalise it and help make packing less stressful. Banish that 'I think I've forgetten something important' feeling for good, and make packing simple. 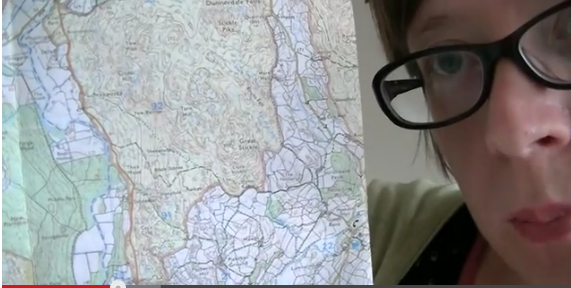 Learn the navigation mindtrick I learned from getting lost on Bleaklow in perfectly clear weather... The action I always take whenever I feel just a spot of rain... What I learned when my friend stumbled crossing Stickle Ghyll... Why I don't care what people think about my estimated walking speed... The key lesson I learned from the day my parents nearly died on the Cape Wrath trail... How to avoid getting a nasty surprise when you book into a hostel... And how to have awesome hiking experiences at any time of year. I show you the different types of maps you can get in Britain and the various pros and cons of each! 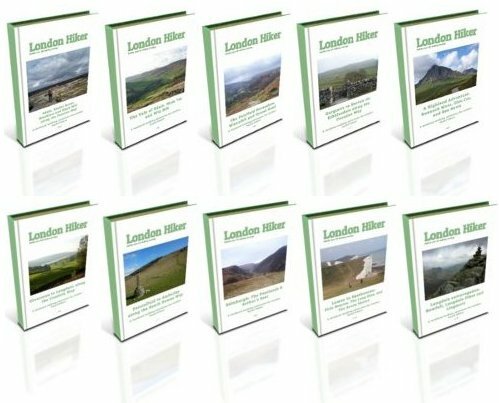 The DOWNLOAD provides details of exactly which maps I recommend for the 10 weekend walks plus details of how to look at maps online for free. 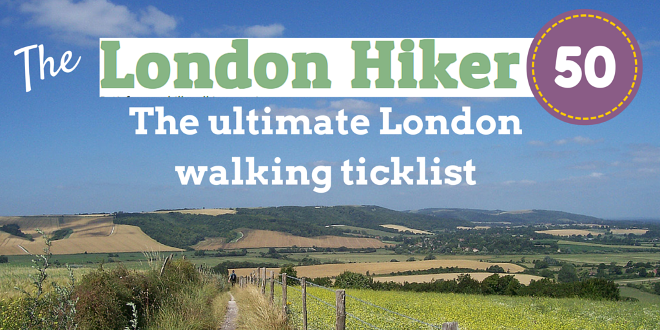 I've curated a list of a few suggested day hikes in and around London to challenge your fitness; these are long(ish) walks and/or challenging walks to help you train up for weekend walking. This is my comprehensive ticklist to the BEST walking in London and around. 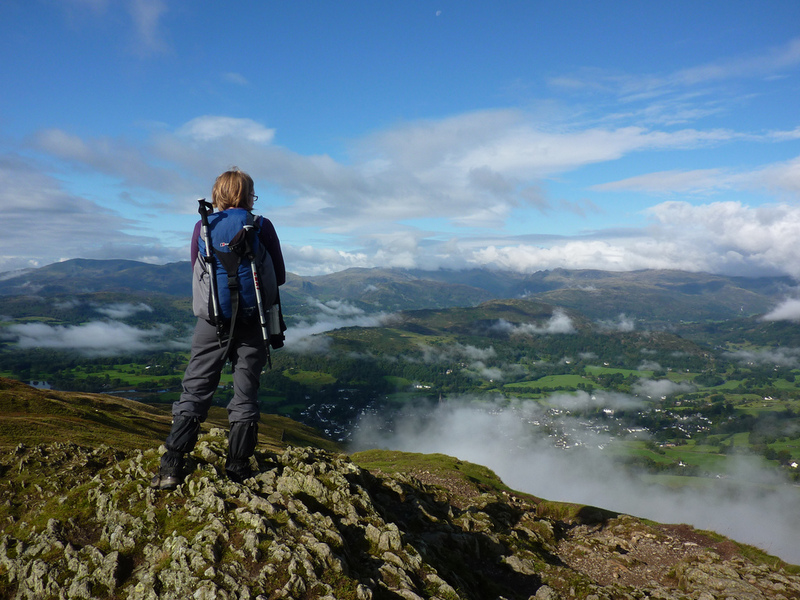 Ambleside is one of the best places for first time visitors to the Lake District. It's easily accessible by pubic transport from the south of England, it's surrounded by gorgeous scenery, and has great transport links to some of the key walking areas and lakes. Not only that but it has excellent restaurants and lots of rainy day options (which you DO need in the Lake District!). 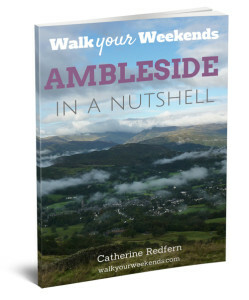 I've been visiting Ambleside for years, and I regularly get questions about ideas for walks, transport and other information. If you were to sit down with me over a coffee, I'd spend at least 3 hours or more explaining the options, points of interest, things to do and places not to miss. So I decided to make it into a handy guide for you. 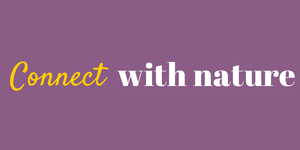 You can get the benefit of my experience and recommendations; without having to research it all yourself! 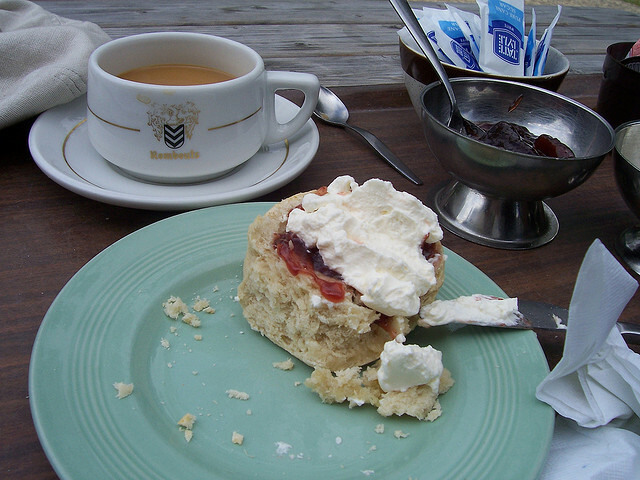 Which restaurants, cafes and pubs do you recommend (honestly!)? 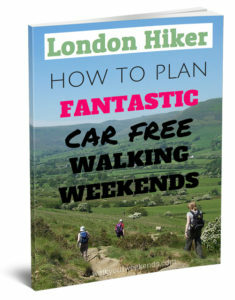 The EXACT process of how I go about planning car free walking weekends away from London in Britain’s best hiking areas, with a specific case study. 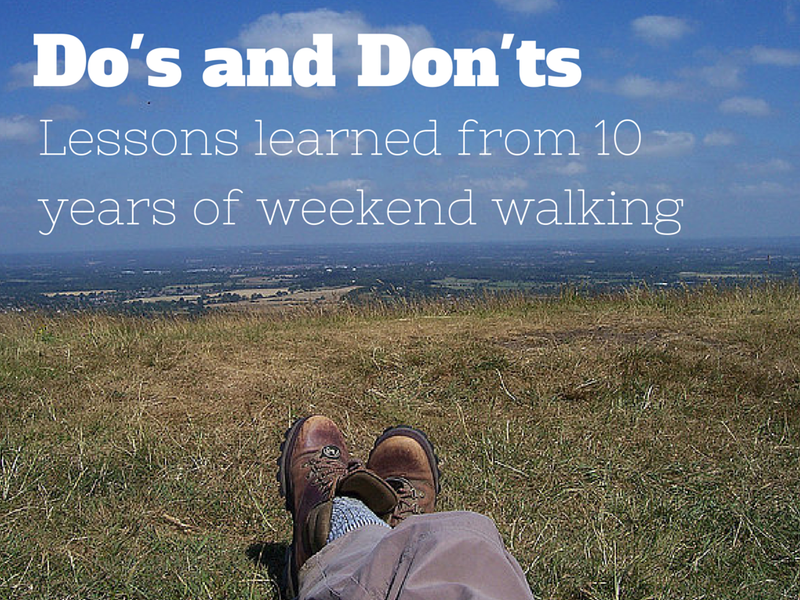 The last 10 years of my experience of hiking around Britain has been poured into Walk Your Weekends. There are over 6 hours of videos to support the guides and ensure every last detail is covered. You want to explore the best of Britain's hiking - regularly - not once in a blue moon! You don't have TIME to go hiking! You’ve recently moved to London and don’t want to give up your passion for hiking, but don’t know where to start. Or you’ve always wanted to visit places like the Lake District and explore more of the U.K. countryside, treating yourself to more challenging walks, but you haven’t got around to looking into it. You dream about being out amongst the mountains, on the wild and windy moorland, in the heart of the hills, or on a trail winding into the bracken-covered fells. No I haven't walked everywhere in Britain. No I haven't done as much as some folks have. But as they say I've been around... and where I've been I have FALLEN IN LOVE WITH. I want to help you get there, too. 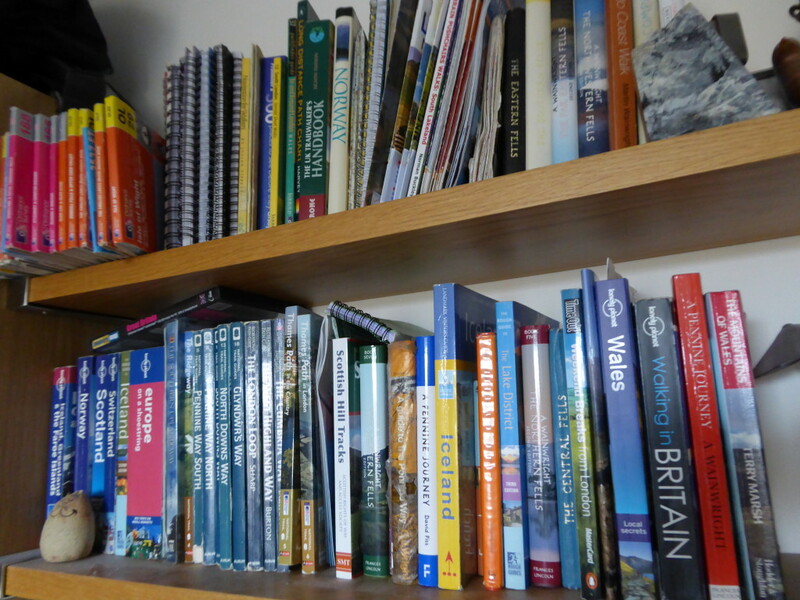 I've got shelves full of hiking books, guides, map and magazines. 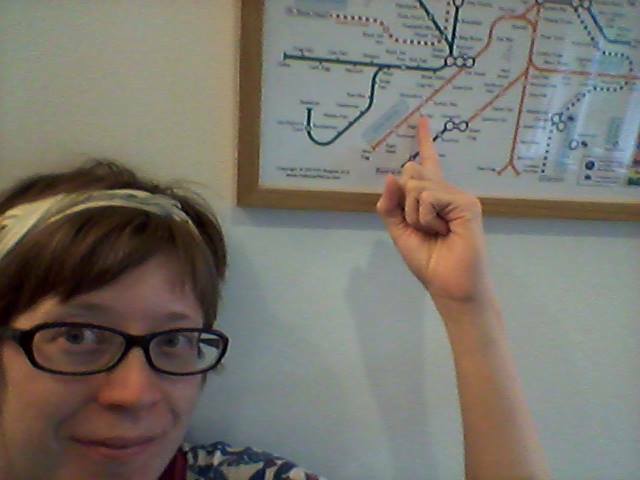 I've spent hours and hours peering at train and bus timetables on the internet to try to make these weekends work. You can totally do all of this yourself if you want to. But if you want to save yourself the time and hassle, I've got it all here ready for you. Think of me as your virtual hiking consultant. Nothing makes me jump up and down with glee more than knowing I've helped someone hike an area of the country that they've never explored before. 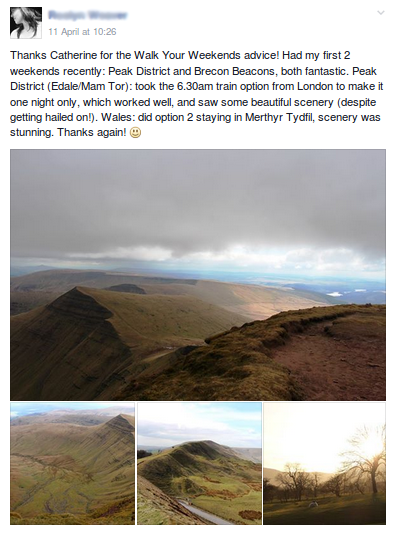 I just love giving people the tools and know-how to have the most amazing hiking weekends. Britain is a truly beautiful country - I want you to see it like I have. I want to provide you with EXACTLY what you need to know to plan your own amazing hiking weekends and travel independently, at your own pace. 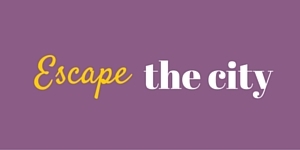 I completely LOVE researching itineraries and options to help you have the most amazing weekend ever. I totally get that you want to go at your own pace - not with a group of strangers (me too). I totally GET that you need to know the LOGISTICS of how to get to these walks when you're based in London or nearby. I've been doing weekend hiking trips for 10 years and when I first started, I had to research for days and combine information from a million different sources to plan my trip - I want to save you from that tedium! Imagine commuting on the tube on Monday morning with a smile on your face - filled with a huge sense of achievement and knowing you've just got back from a fantastic hiking weekend. Imagine exploring some of Britain's best hiking without having to use up all your holidays or take weeks off work. Imagine not missing out on Britain's stunning countryside even though you live in London. Not putting it off any longer. Not feeling LAZY any more! I know exactly how that feels... the 'itchy feet' syndrome. When I haven't been hiking for a long time I start to feel very frustrated. I feel so lethargic... like I'm half asleep, trudging through my daily routines in a fog. 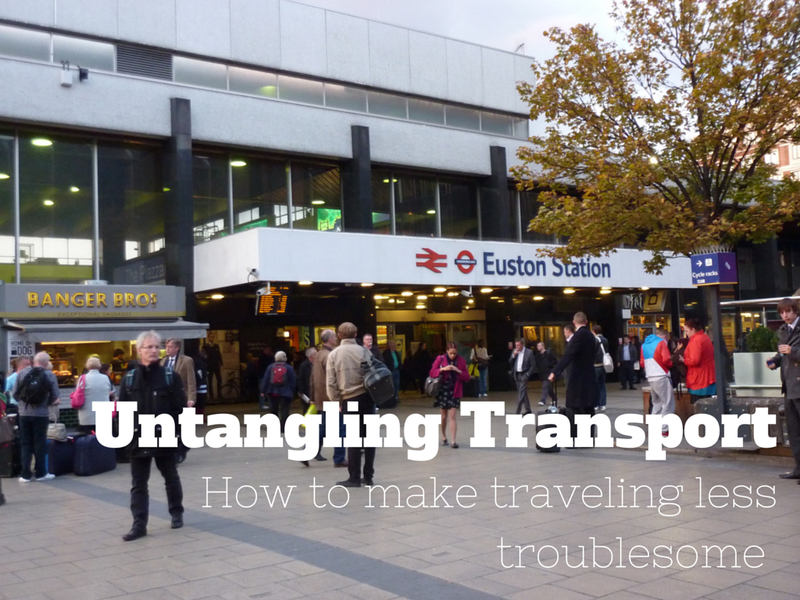 (It doesn't help that commuting on the tube every day can want to make you curl up in a ball and head back to bed). It took me about 5 years of living in London to get to that point. I grew up in the north of England and went hiking a lot with my parents. But when I moved to London, I missed it all. I started to feel like the only way I'd ever have these amazing experiences of the countryside was to leave London - but that wasn't going to happen any time soon. You want to go walking. . . But you have no TIME! You have to work and your major holidays are already fully accounted for. So do you give it up? This is EXACTLY why I created Walk Your Weekends. I was fed up of feeling like I had to PUT OFF my love of the outdoors because I had little time and lived far away from the hills. I realised there was no perfect time to fit this into my life. I was waiting for a time that would possibly never happen. Waiting until I moved out of London. Waiting until I had more time to hike (like when would that happen?). Waiting until I had someone to hike with. But then it got to the stage when I couldn't wait any longer. I wanted it in my life NOW. So I realised: just do it in your weekends! No holidays required - maybe just the odd day or two here and there to make a long weekend. You don't have to do it all the time - just four weekends a year can make a huge difference. . . .You could climb Britain's highest mountains. . . .Complete a long distance trail. 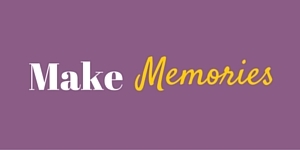 . . .Visit achingly beautiful places that will give you lifelong memories. WHERE on earth do you go? HOW do you get there with no car? WHERE are the best places to stay, eat, and picnic? WHAT if the weather is so bad you can't do your original planned hike? I've researched it and I've DONE it - and now I'm sharing it all with you. I read years of outdoor magazines, obsessively collected them and tore out and filed away the routes by region. 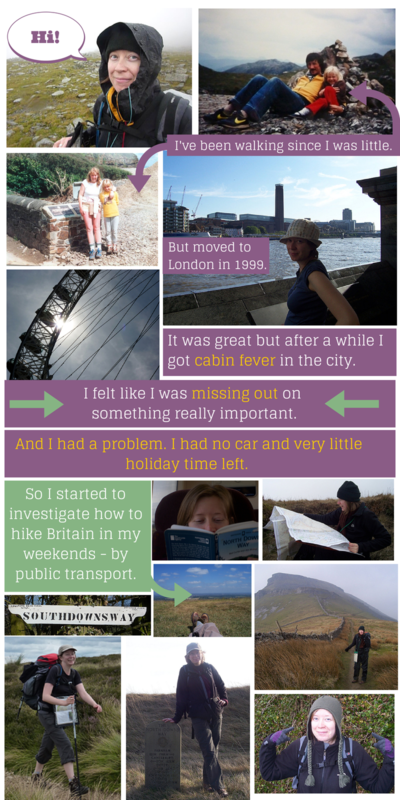 I read books about hiking Britain and poured over maps, train and bus timetables. I found out where to stay and I grilled my relatives - who still lived in the North of England - for their top tips. I have done many of these weekend walks on my own. (And I like it that way). Hiking is often MY time. . . time to let my brain relax, to meditate, to feel connected with nature. I completely understand this, so I've prepared the guides in Walk Your Weekends for you so that you can go on your own hikes independently and travel at your own pace. Is it sad to admit I actually ENJOY researching this subject - how to get people out of London and on to the hills? "Attention to detail and an ability to create and work in systems steadily and without going mad." You also get access to all future updates, revisions, and new itineraries. How much should I expect to spend on transport for these weekends? It depends on the area you are travelling to but it will be between £30 – £200. How much hiking do I need to have done? You should have done some walking already – walks of at least 10 miles / 16 km. This can be in or around London or elsewhere (e.g. in another country). And now you’d like to do more around Britain. If you have never done any walking before, this probably isn’t right for you. IMPORTANT: YOU MUST KNOW HOW TO READ A MAP! How detailed are the route descriptions? You will need to read my description alongside a map – I will explain how to see maps online for free. And I actually talk you through the route in a video, so you can see where it goes before you plan your weekend. Do you book travel & accommodation for me? No. I provide you with the information to do this for yourself. Can I really climb Ben Nevis in a weekend? YES! I’ll explain how! And it’ll be amazing! But summer's coming to an end by the time I book this hike! There are hikes suitable for winter in Walk Your Weekends. It’s always a good time of year to be booking your next hiking trip! Some do go up mountains but there is very little scrambling involved and if you are careful and use common sense you should be fine. I include a safety checklist and safety video for you so you can be prepared and confident. A full day will be about 8 – 16.5 miles. A shorter day will be about 6 miles. Most of the walks can be cut short or made longer and this is explained in the guide. Is this a hiking club? No, it is information to help YOU plan your hiking weekends and travel INDEPENDENTLY at your own pace. Can I do these walks if I live in London? YES. 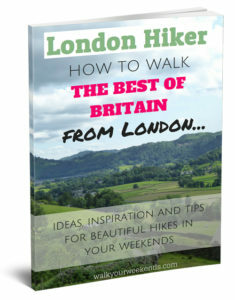 This is entirely designed around explaining how to walk your weekends if you live in London. If you live elsewhere, please bear that in mind as all the travel information is worked out around travelling from London and back to London. Will I have to carry my own backpack on these hikes? YES several of them are point-to-point hikes so you will be carrying your own clothes etc. However, it’s only for one or two nights so you should be fine, and I provide a packing checklist to help you work out what to take. 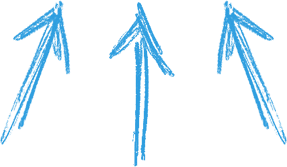 The Walk Chooser also lets you know which ones are backpacking and which ones are based in a single location. What if it's winter now? Actually this is a great time to PLAN and BOOK your next weekend! You can have something to look forward to when the weather gets better – and do it more cheaply too. However, at least 3 of the weekends are suitable at any time of year! Where are these walks located? Check out the map above for a rough idea. If after 2 weeks you regret buying, I’ll refund you 100%. No questions asked. Just ask me.